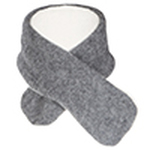 Your child will love this plush and warm neck scarf on cooler days. Winter scarf is just perfect size and won’t add bulk to your kid’s outfit. 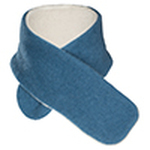 Garment features convenient loop on the back side, which makes it easier for a child to secure scarf around neck. 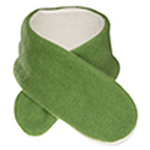 Made of organic merino wool, which is excellent body temperature regulator and natural moisture repellent. 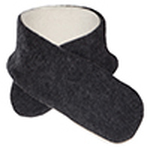 Hat is lined inside with very plush organic cotton sherpa for extra warmth and comfort. 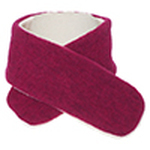 We offer great organic clothes for anyone with sensitive or eczema prone skin. Made only of purest hypoallergenic materials, no toxic coloring, pesticide-free, insecticide-free, and fire retardants-free. SIZE: Knitted neck scarf measures approximately 23.5 x 3 inches and recommended for toddlers and kids from 1 to 6 years old.